Ever wanted to add some sophistication and elegance to your home? Then look no further than the Pastiche collection by Surya! Woven in India with 100% cotton this lovely piece is not only beautiful but durable as well. 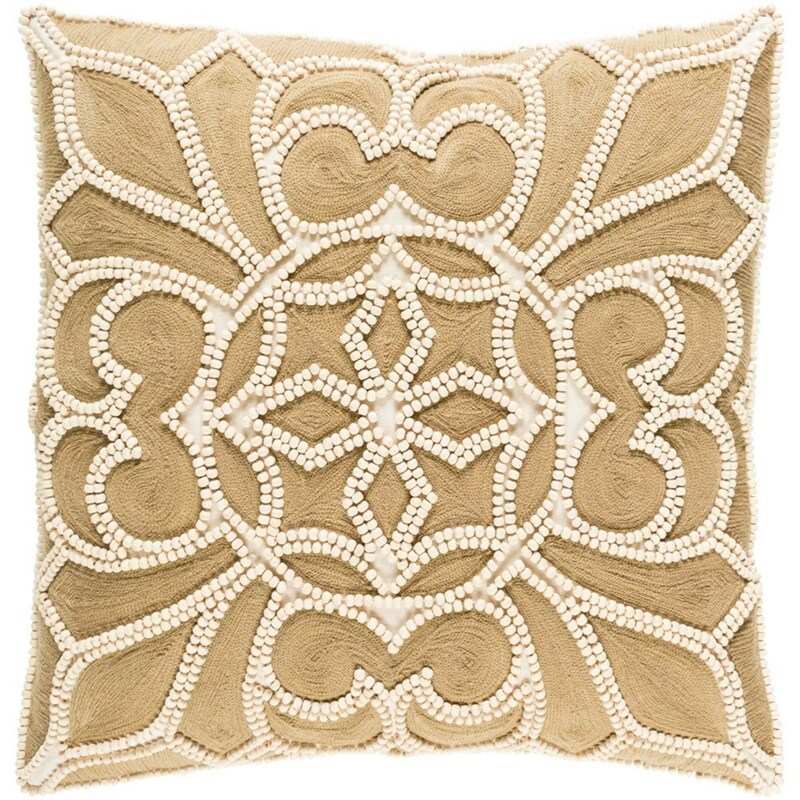 Adorn your home with this unique pillow, it will definitely add a touch of refinement to your room. The Pastiche 7117 x 19 x 4 Pillow by Surya at Knight Furniture & Mattress in the Sherman, Gainesville, Texoma Texas area. Product availability may vary. Contact us for the most current availability on this product. Browse other items in the Pastiche collection from Knight Furniture & Mattress in the Sherman, Gainesville, Texoma Texas area.